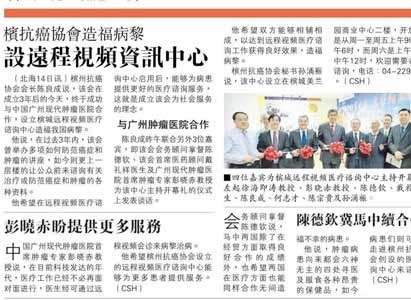 Penang Anti-Cancer Association and St. Stamford Modern Cancer Hospital Guangzhou co-establishing St.
On Jan. 14, 2018, Malaysian Guangming Daily published a special report on Penang Anti-Cancer Association and St. Stamford Modern Cancer Hospital Guangzhou co-establishing St. Stamford Guangzhou Modern Cancer Hospital Consultancy to benefit more people. 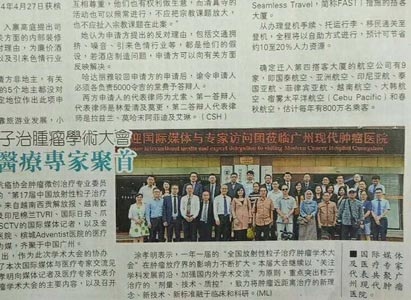 Malaysian Guang Ming Daily published a special report on the 17th National Academic Conference of Radioactive Seed Brachytherapy on June 22, 2017. 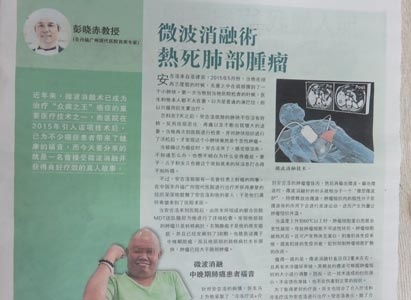 Malaysian Guang Ming Daily published an anticancer experience of the Philippines lung cancer sufferer Angelo on May 24, 2017. 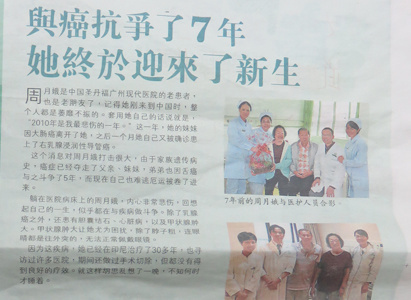 78-year-old Indonesian breast cancer patient Indra Kasih Tisnodjo, her survivor story against breast cancer for 7 years was published by Malaysian Guang Ming Daily on May 17, 2017. 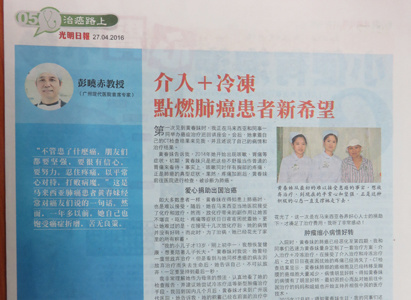 On April 27th, 2016, Malaysia Guang Ming Daily published a special report about Modern Cancer Hospital Guangzhou, which tells the anticancer story of lung cancer patient ONG CHOON MOY.